This doily has a lot of chains, so if you don’t like these, you probably wouldn’t like this doily. The cat theme was perfect for my Mom, and I knew it’d be a great gift for her as soon as I saw bonitapita (of Casting Away)’s project on Ravelry. I apparently somehow ended up with a much-smaller crochet hook than was needed, so this doily is only 16″ in diameter (I didn’t think to include something for scale in the photo, rats). I blocked this so aggressively that the rubber mat I was using warped at the corners. Luckily, I had four cans of tomato available to weigh down each corner. I also applied spray starch twice, but even so, you can see some of the chains are a bit loose in a few places. One probably could get away with 1 or 2 chains less in the areas surrounding the cats. 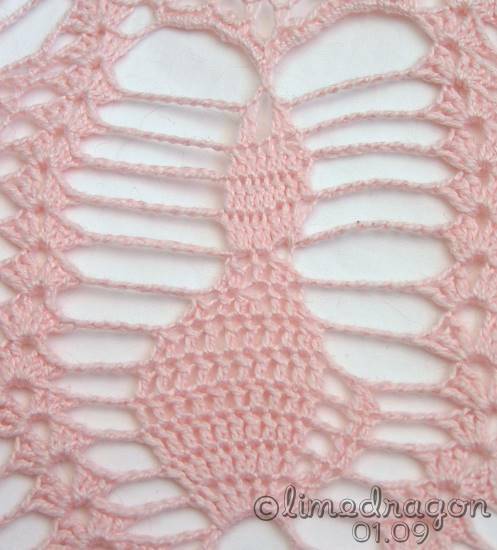 The pattern does have a few errata, and I noted them in the Comments tab of the pattern entry on Ravelry. Cats! What could be wrong with cats? It’s verra cute. 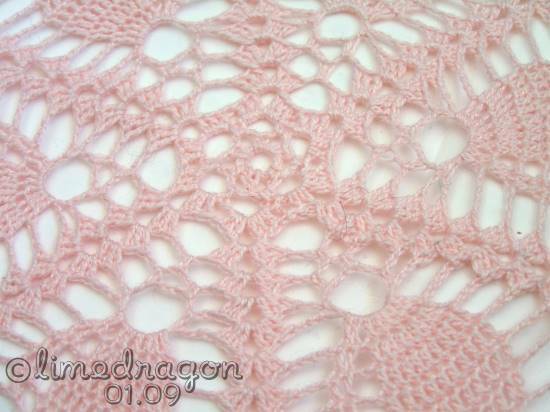 The pale pink makes it look so very delicate and ephemeral. 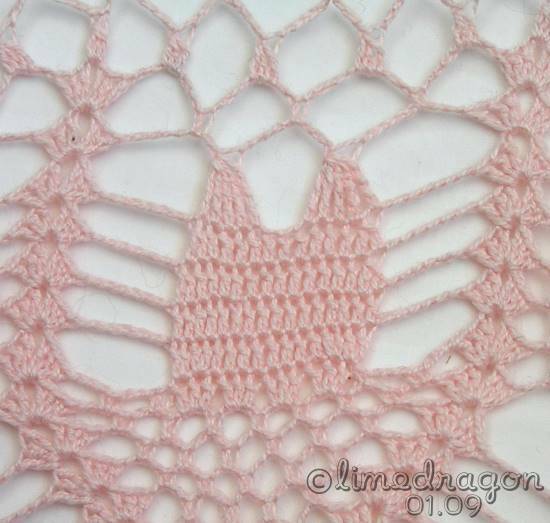 this doily is gorgeous! i love the cats. just love them. Nice doily! 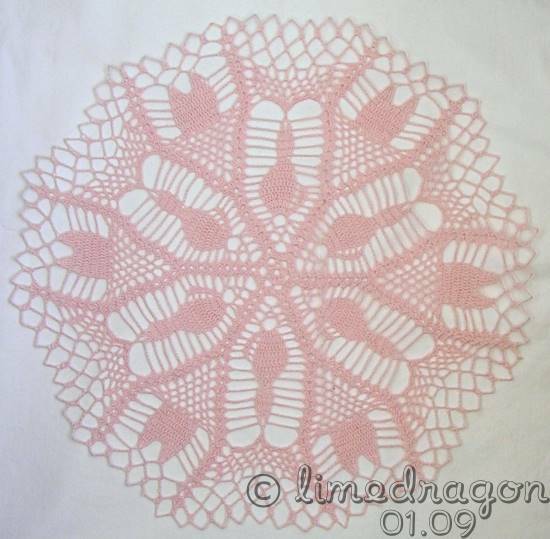 I’ve never made a doily but they look like fun.